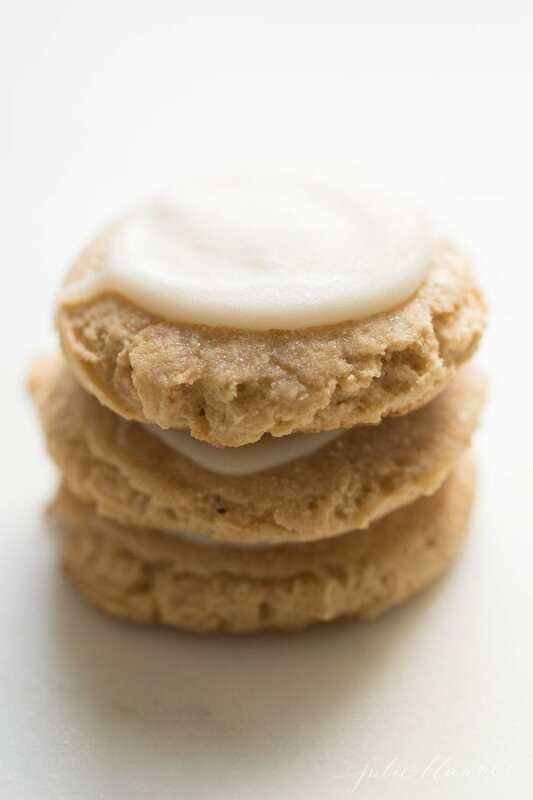 Soft, chewy Pumpkin Sugar Cookies that are melt-in-your mouth delicious. 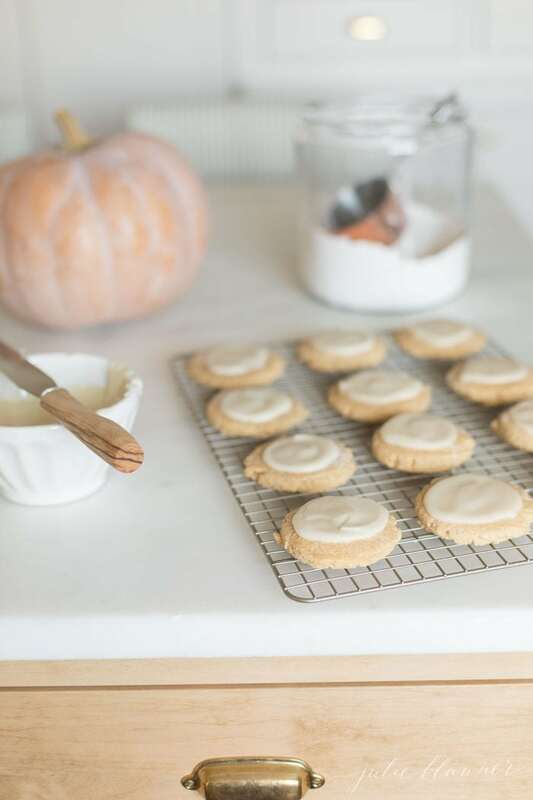 You’ll love this Pumpkin Sugar Cookie Recipe with a Cream Cheese Glaze for a little fall flavor you’ll want to savor all year! It’s day 3 of Fall Cookie Week which means Michael and I have 2 more incredible recipes to share with you! 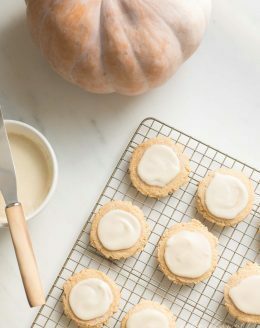 I never really thought I was a pumpkin fan until I took a bite of these Pumpkin Sugar Cookies. I was happy to oblige since it’s the season of pumpkin everything, but once again, I was surprised. 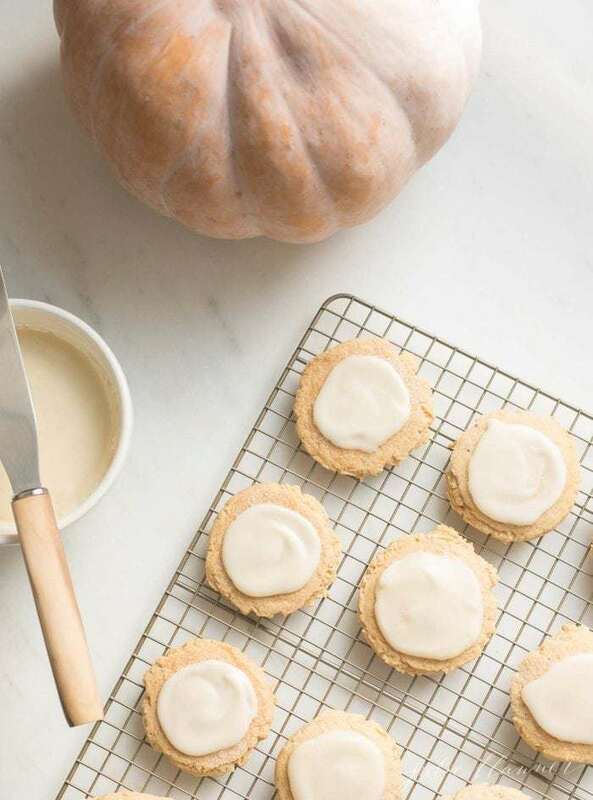 The subtle pumpkin flavor paired with cream cheese makes these soft and chewy Pumpkin Sugar Cookies irresistible. A cookie should look as good as it tastes and these certainly do. They’re also stackable, making them great for gift-giving. Why limit cookie sharing to Christmas? ‘Tis the season of being thankful and takes the pressure off during the holidays. You can stack them in a small cellophane bag and wrap them with a ribbon, or simply secure the bag with a piece of washi tape. Place them in a charming basket for a beautiful housewarming or hostess gift. 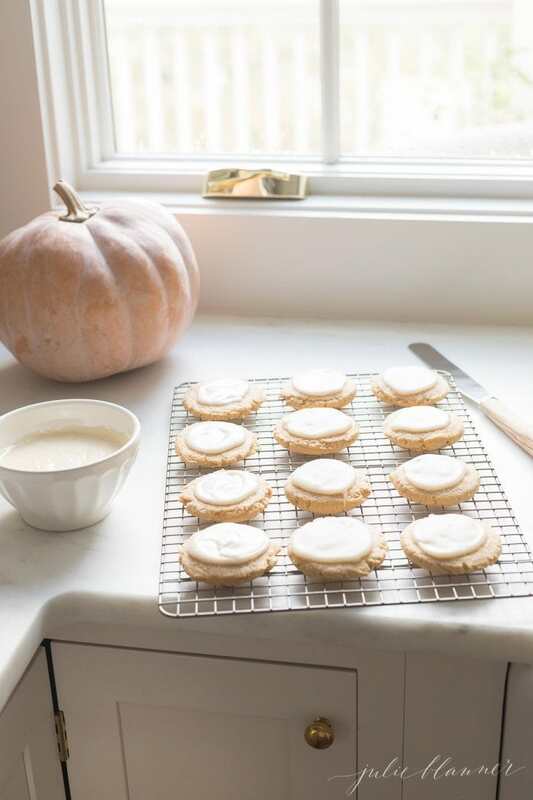 If you’ve ever wanted pumpkin pie wrapped into a cookie you’ll love these Pumpkin Spice Sugar Cookies. 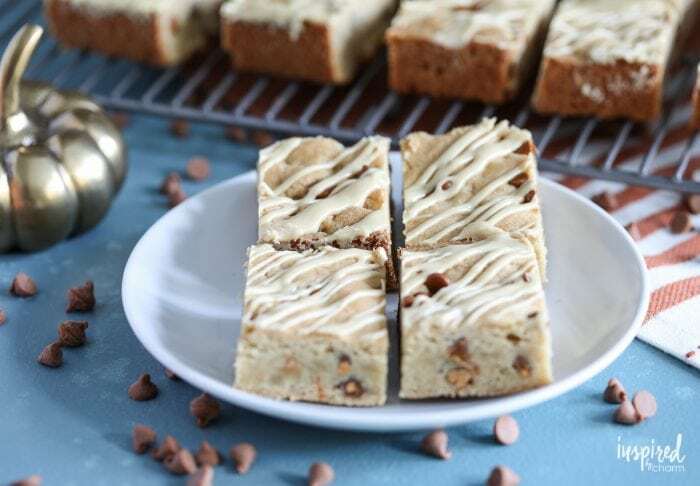 There’s no need to purchase store bought dough – these are so incredibly easy to make and have bakery style quality that melts-in-your-mouth! 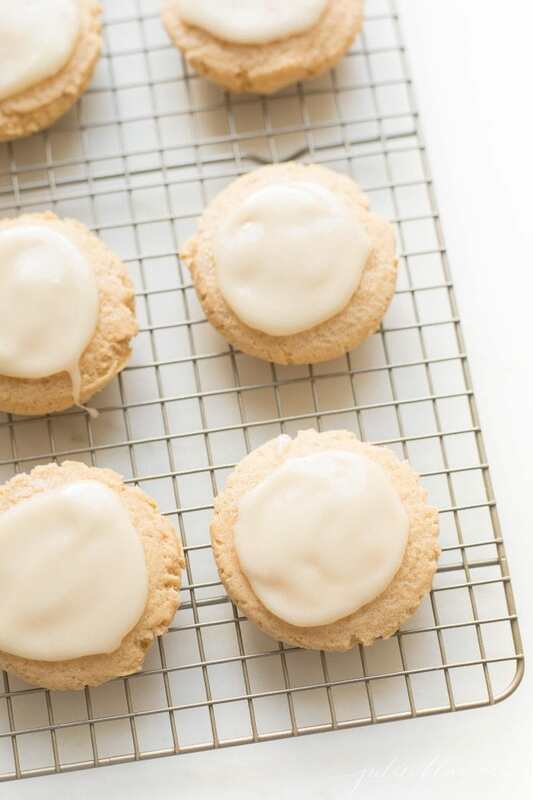 You can even used canned pumpkin in this easy Pumpkin Sugar Cookie Recipe! They’re so easy to frost, too! Just warm the cream cheese glaze, add a dollop and smooth on with a spatula or icing spatula. 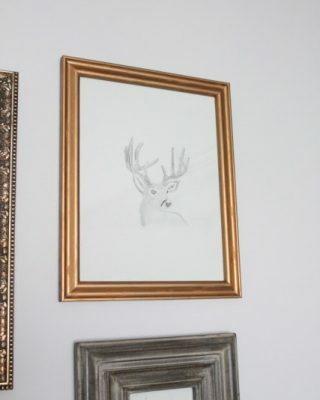 No decorating required! The glaze will harden just enough to stack, but not enough to take away that soft, chewy flavor you’ll love. 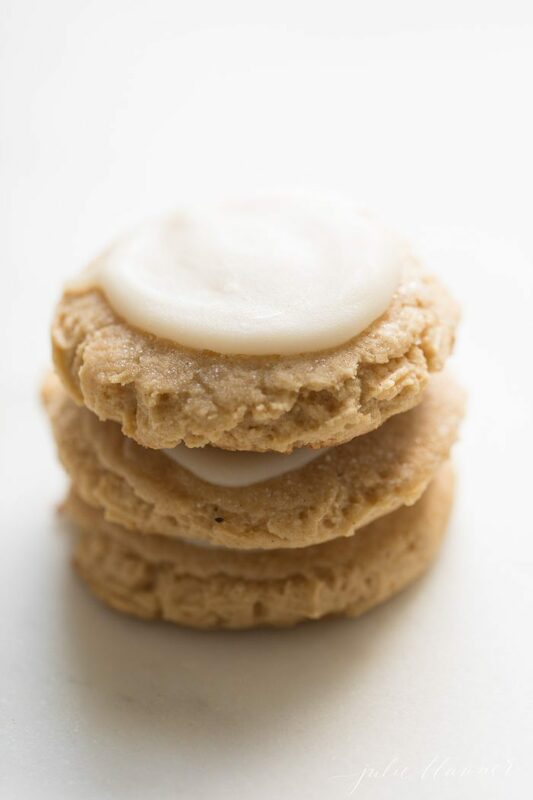 How Many Calories are in Pumpkin Sugar Cookies? 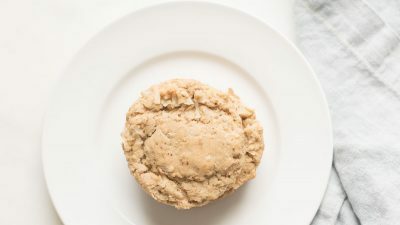 We’re not even going to begin to talk about how many calories are in one of these sugar cookies, but if you really want to know you can find it in the printable recipe card below! I hope you love this recipe as much as we all do, please write a five star review and help me share on Facebook and Pinterest! 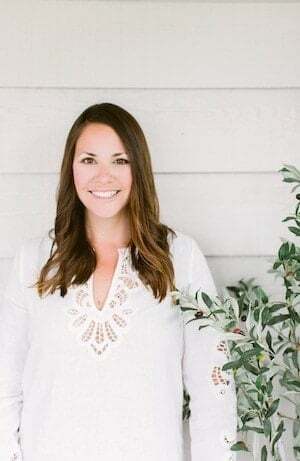 You can find the Pumpkin Sugar Cookies printable recipe card below, but first, Michael of Inspired by Charm has made Maple Glazed Cinnamon Chip Bars for you today (get the recipe here)! For all of you pumpkin lovers out there, you don’t want to miss his recipe Friday! Soft, chewy Pumpkin Sugar Cookies that are melt-in-your mouth delicious. 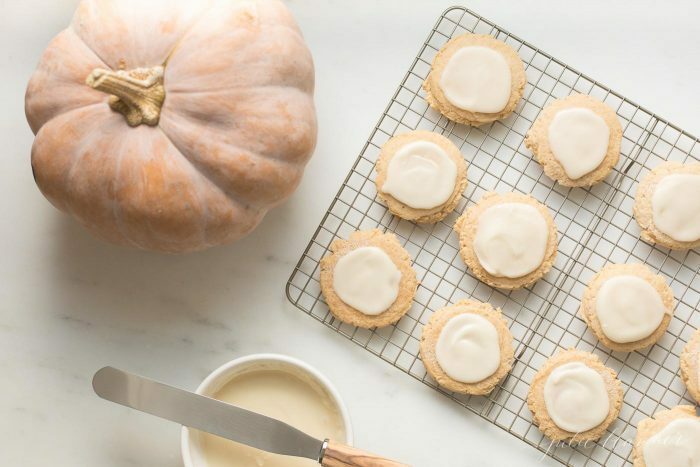 You'll love this Pumpkin Sugar Cookie Recipe with a Cream Cheese Glaze for a little fall flavor you'll want to savor all year! 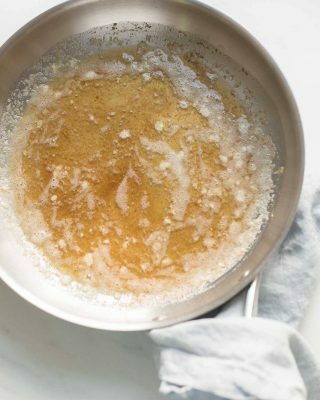 Combine butter, vegetable oil, pumpkin, sugars, vanilla and eggs until smooth. Gradually mix in dry ingredients until incorproated. Drop dough balls onto a cookie sheet and flatten using the bottom of a glass dipped in sugar. Bake 13 minutes (watch baking time as your oven may vary). Meanwhile, combine cream cheese, butter, vanilla, powdered sugar and optional corn syrup until smooth. 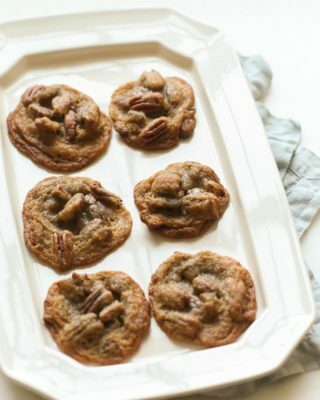 Melt and top cooled cookies by spooning on or smoothing on with a spatula. Allow to cool until set. You can stack these in a small cellophane bag and wrap them with a ribbon, or simply secure the bag with a piece of washi tape. 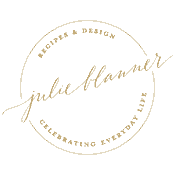 Place them in a charming basket for a beautiful housewarming or hostess gift. I love a good pumpkin recipe. These cookies look AMAZING! They might be my favorite of the week! Wow these look so good!! I’m going to try them out this weekend my kids love pumpkin flavored treats! 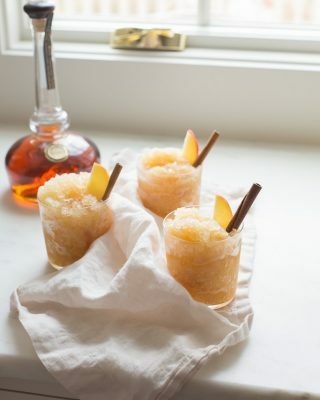 Those look so pretty and delicious, I can’t wait to try them! I love the swirl of icing on these cookies!! Perfect texture and flavor! 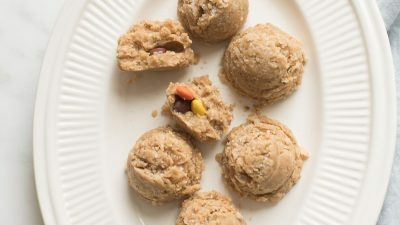 These cookies taste even better then they look – so delicious and perfect for a pretty fall party! I always love your recipes so much! These look so soft and chewy — yum!! !